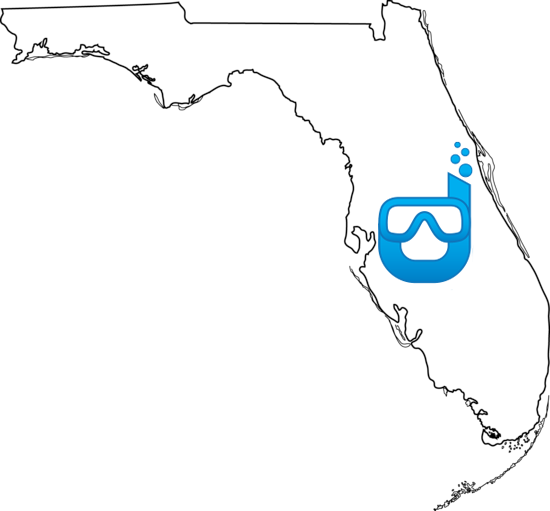 Aquaman Leak Detection is Florida’s Swimming Pool Leak Detection Experts! If you have a leak in your pool, spa, fountain, foundation, or slab - we guarantee to find it - or the service call is free! Serving the Melbourne, Florida area for over 15 years, we now proudly serve all of Central and South Florida. Each of our trained and certified pool leak detection specialists utilize the most advanced methods and technologies to locate the leak in your pool or spa, without causing damage to your property. Our patented technology and state of the art equipment help us to hear and detect leaks far beyond any human capability. This allows us to pinpoint the leak in a poured foundation or slab, reducing time, effort and the damage often associated with finding foundation leaks. Our customer service is second to none and our clientele, reviews, and referrals back up this claim. Please review our Testimonials page. You should know we've never had a dissatisfied customer! With our patented leak detection technology and our experienced and trustworthy staff, you can count on a good experience and warrantied work. Get Your Free Copy of "The Complete Guide to Swimming Pool Ownership." This ebook is an attempt to save you hours of time and frustration in operating your pool. We've included helpful and practical information to make pool ownership easy to handle, whether you are a new pool owner or a long-time pro. Find out why Aquaman is the best choice for pool or spa leak repair! Is the owner, Lowell, a diver? YES! You can check out his 90ft+ freedive video, here! He is also a scuba diver. Watch us in action! See videos of us finding and repairing leaks on site. Check out some of our customer reviews and a few testimonials here!